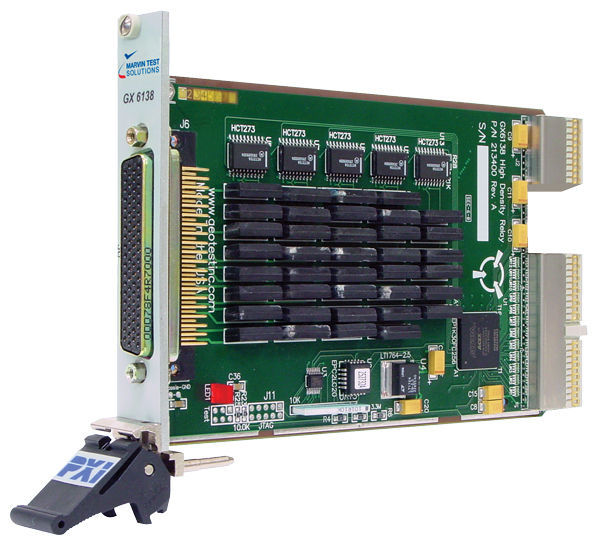 PXI Switching, High Density Card - GX6138 | Marvin Test Solutions, Inc. The GX6138 is low cost 3U switching card with 38 individual low level SPST Form A relays capable of switching 0.5 A at 200 VDC. The GX6138 is ideal for applications requiring high density switching. The GX6138 consists of 38 individual relays and a 78-pin D type connector which makes it is easy to interface to the UUT or system receiver. Each of the relays can be latched or unlatched under program control.